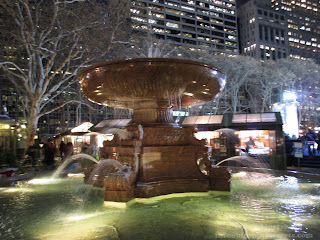 Bryant Park is one of the most notable and most popular landmarks in midtown Manhattan . 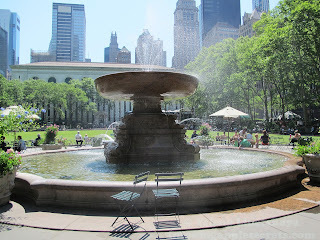 It is located in the heart of New York behind the New York Public Library’s main branch. In summer you can enjoy HBO's annual film festival, poetry readings and tai chi and yoga classes in the park. 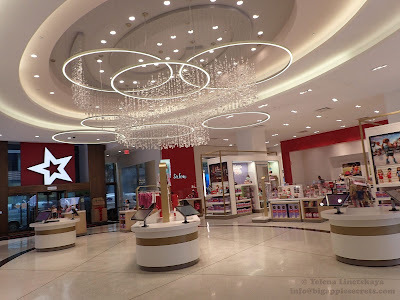 And the winter season brings ice-skating and a frozen fountain. 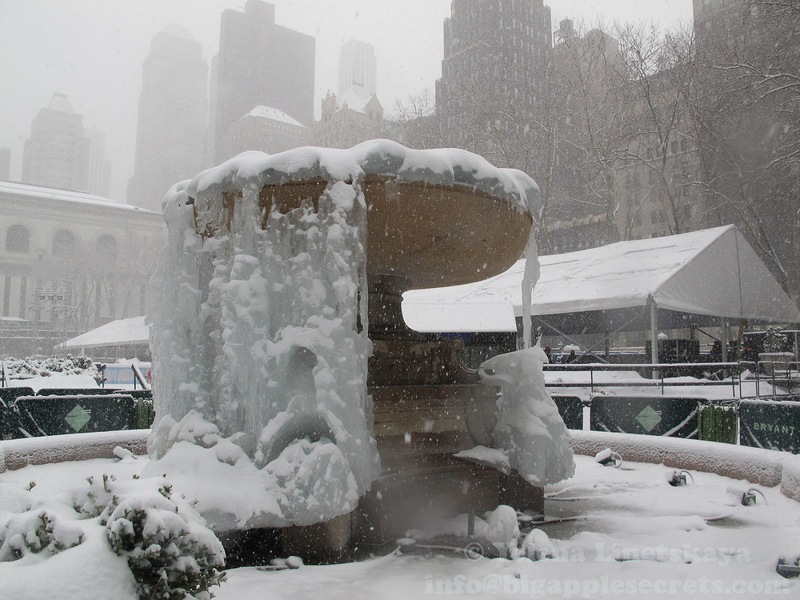 The frozen fountain in Bryant Park has become a temporary tourist attraction as passers-by take photos. City photographers have known for years the magic that that sub-freezing temperatures can work on flowing water, and have famously chronicled it with stunning photos. This fountain commemorates Josephine Shaw Lowell, who founded the Charity Organization Society. Josephine Shaw was born into a wealthy New England family in 1843. She lived with her parents on Staten Island . Her husband was called into service during the American Civil War and died in battle less than a year after they were married. Josephine Lowell started her volunteer service at the beginning of the Civil War and, throughout the years, participated in and helped to found many charities. Later Josephine Shaw became the first female member of the New York State Board of Charities, serving from 1876 to 1889. Architect Charles A. Platt designed this granite ornamental fountain and installed it at the east side of the park in 1913. 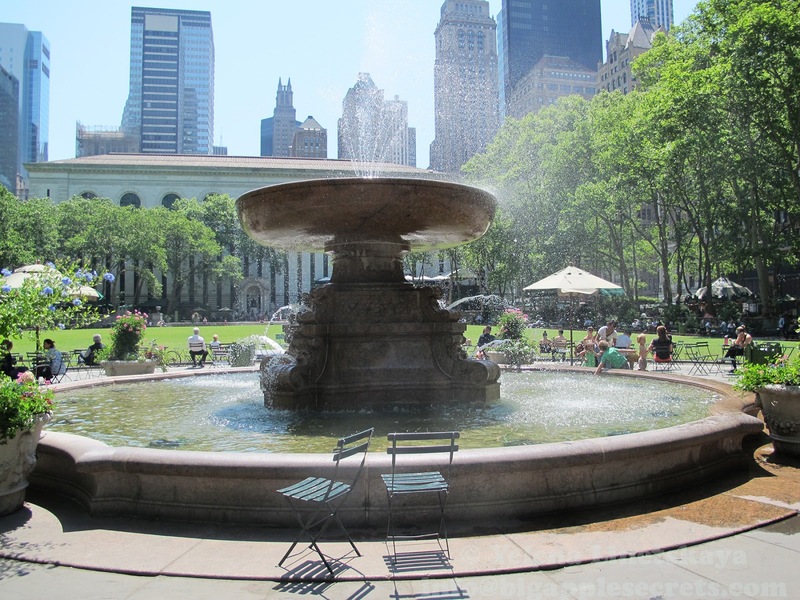 In 1936 the fountain was moved to the west side of the park. In 2009 the fountain was winterized with the installation of an internal electric heating system, enabling it to be left on in subzero temperatures and gather icicles. 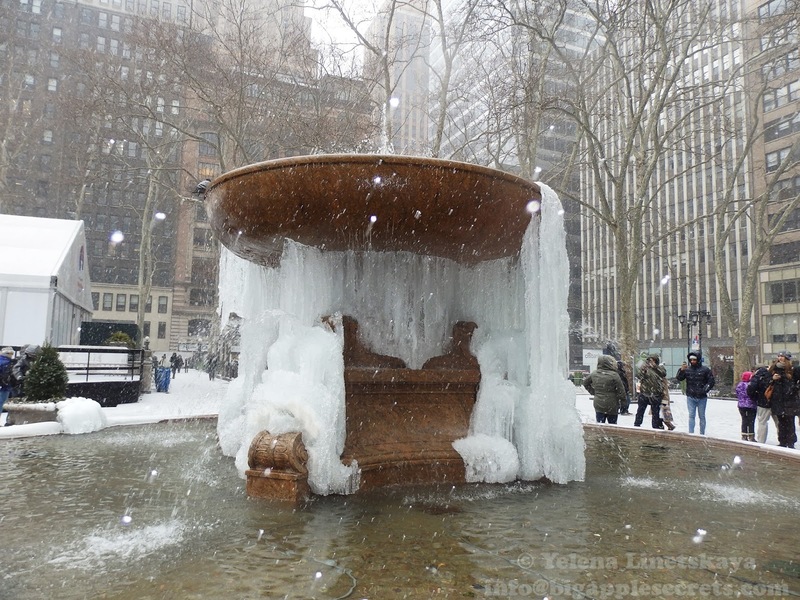 The fountain has been specially outfitted with heaters that keep things just warm enough inside to prevent damage to the pipes, but allows the beautiful ice crystals to form on the outside. When the temperatures drop below 30 degrees, the water spilling over the edge of the fountain begins to crystallize. 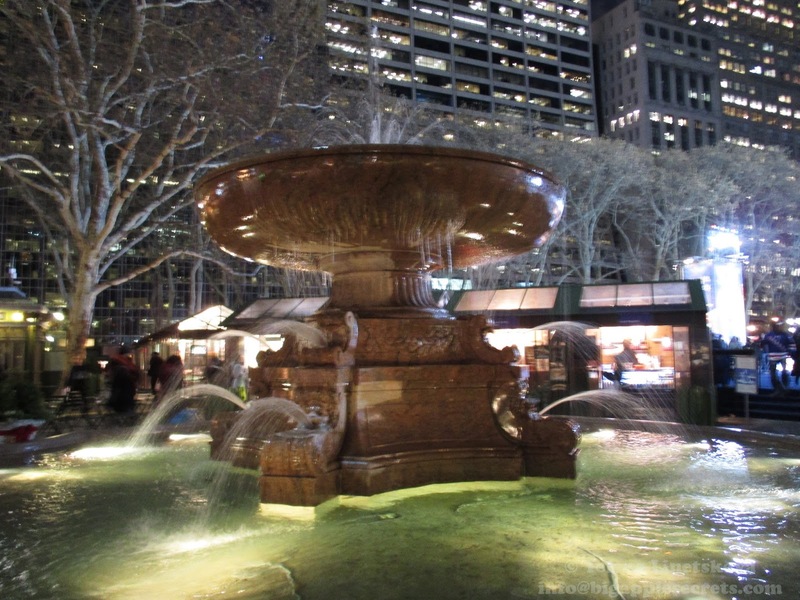 The fountain is switched off during extended cold spells to prevent enough ice gathering to cause structural damage.